I love to create things using my Cricut Imagine not just for cards or scrapbooking, but also that can serve other purposes. That’s one of the reasons that I absolutely adore the Close to My Heart Cricut Artiste cartridge. It has so many 3D objects that I can easily cut and assemble that help me either package a present pretty or even store some supplies (See my Notepad Holder w/ Pen). 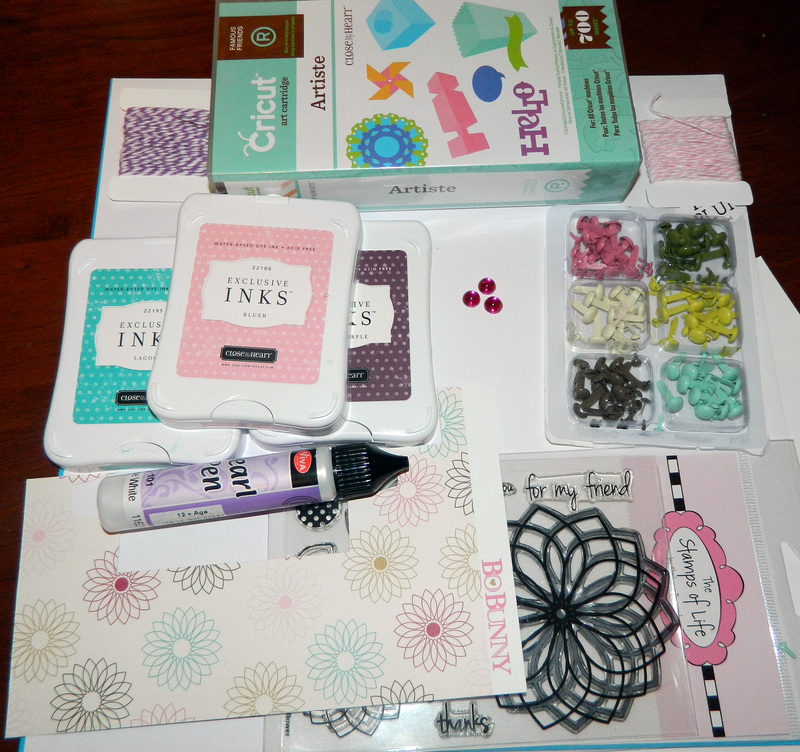 I saw on the Fantabulous Cricut Challenge Blog that this week’s challenge was to make a project using some type of school supplies. I was also lucky to find that Bitten By the Bug 2‘s challenge was also Back to School! Well – I don’t have children and school supplies for me is my Laptop, Post it Notes, and Index Cards. I know – I’m strange. Because of my Fibromyalgia, it’s easier for me to take notes while typing (I type far faster than I can write) and then I use Post It notes as reminders. Studying ALWAYS consists of the use of Index cards. This is the way it’s always been for me. I was always known as the index card girl. Even at my current job – until recently – I was known for always having index cards and a plethora of Sticky Notes. 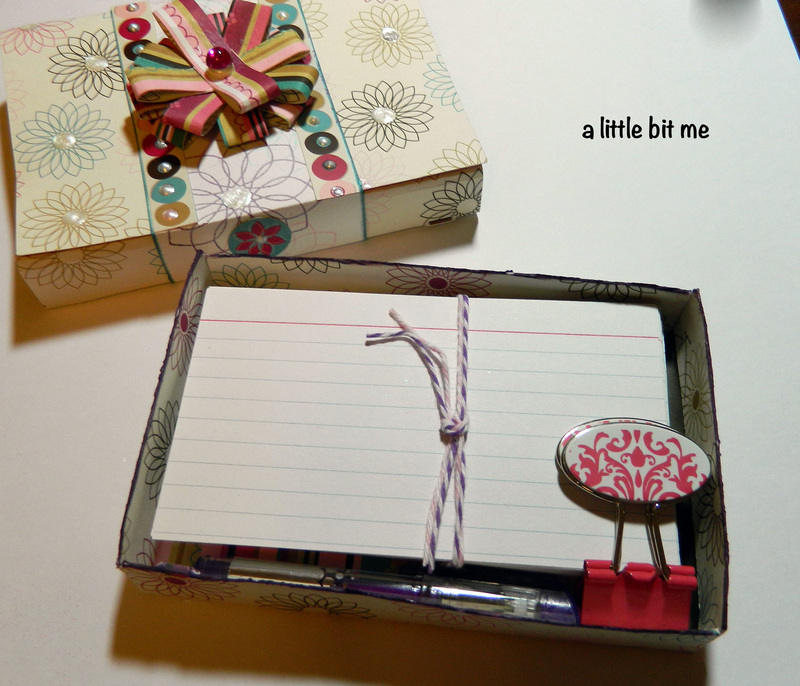 I do have pencils – I do adore pencils – and I thought about making a Pencil box. That would have been super easy with the Cricut Artiste object that I chose, but you know when a project starts it always changes mid-stream. 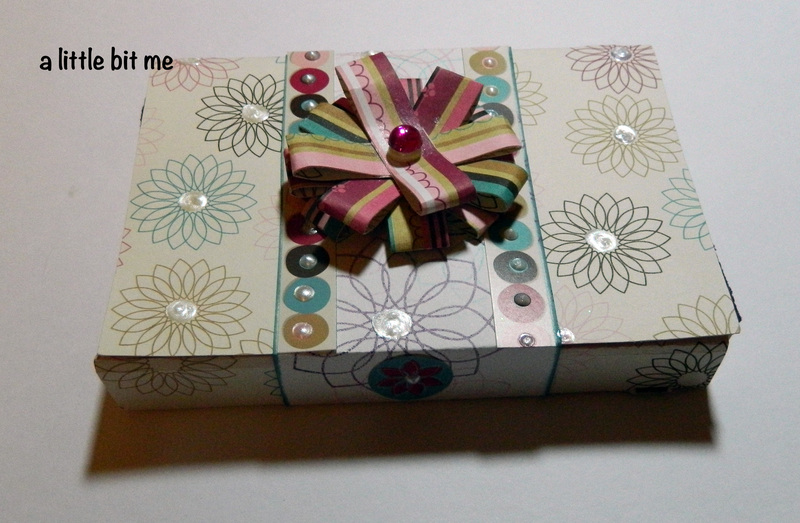 I went away from using lots of buttons and glitter to using index cards (storage) and a paper flower. 1. Cut the bottom of the box and the top of the box from the CTMH Artiste Cartridge. I cut the bottom at 8.5 x 4.458 and the top at 10.22 x 5.375. I used the object “O” that is on Page 49. It looks like a deck of card box or even like a matchbox. I changed the dimensions a bit than what is recommended. That’s one of the other awesome things about the cartridge – it gives you the recommendations for the sizes to cut to match all the other items that go along with it. Super cool! 2. Assemble box per the instructions using the GlueGlider Pro for the Adhesive and the Bone Folder for straight edges and folding. Ink the edges using the CTMH Pansy Purple ink. 4. Ink the edges using the CTMH Lagoon ink and assemble the piece of white cardstock so that it will have straight lines around the box and adhere. 5. 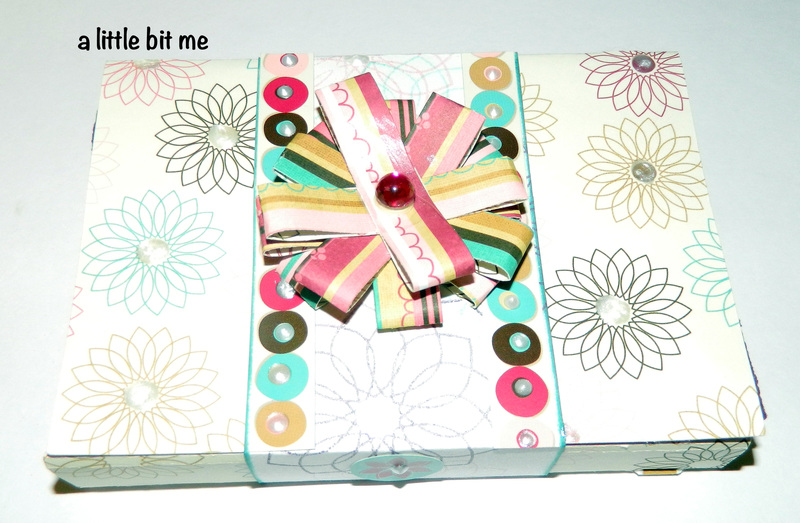 From the sweet tooth set by Bo Bunny, I used some of the sticker border available to add to the white cardstock. 6. Create paper flower. I did this by cutting 8 strips (5.75 inches long x 0.5 inches wide) of the backside of the Sweet Tooth Stripe (the stripe side). Adhere each strip to itself at the ends and gently squeeze the middle together and adhere. Punch a 1/8 hole in the middle. Be very careful not to pinch the ends together – keep them apart so that it gives a “petal” look. After assembling all 8 strips, place on the brad and spread out the petals as desired. Insert the brad into the middle of the white cardstock and complete. 7. Embellish! This is where I tend to go a little overboard. I didn’t like the boring color of brad I ended up using, so I added a Sparkle Lightz to the top for a little pop. I added two more stickers to the sides of the white cardstock band from the sweet tooth collection. Viva Decor fever set in and I used my Ice White Pearl Pen to decorate the stickers for a little dimension and in the middle of all the flowers which were stamped and that were on the cardstock. 8. I took my index cards, bunched them with some twine, and added them to the box. 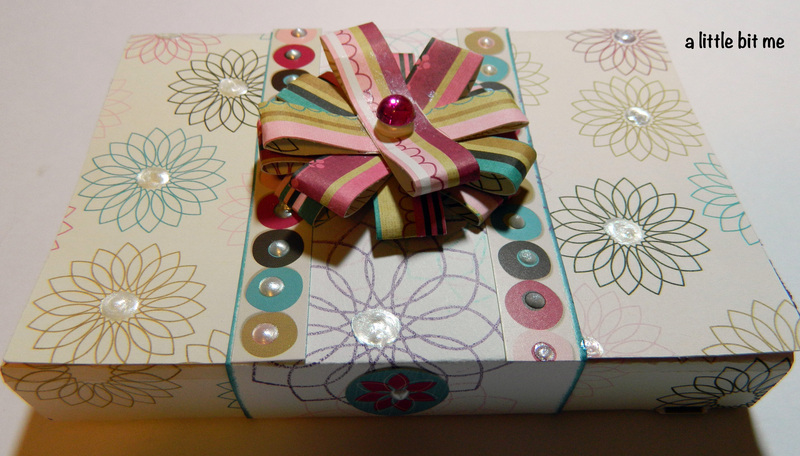 Included in the box is a small purple gel pen and a decorative binder clip (a girl’s gotta be able to clip her notes together and separate the index cards). All done! That was fun. And all at 2am this morning. 🙂 Hope you enjoy – I know I did. I absolutely adore this cartridge (I’ve said that WAY too many times. Please feel free to ask me ANY questions about this project. I’m definitely going to go back and try to create a pencil box using the same method. Maybe then I’ll use the buttons and glitter that I had originally intended as well! See below for more details on the materials and tools that I used. This entry was posted in Creative Stuff, Cricut - CTMH Artiste, Paper Crafts and tagged Back to School, Bo Bunny, Box, close to my heart, CMTH, crafts, Cricut, cricut imagine, DIY, expression, index cards, megan elizabeth, Paper Flower, sea2flower, Sparkle Lightz, stamping, Supply Holder, The Stamps of Life, The Twinery, viva decor by tiannafonz. Bookmark the permalink. Cute, cute, cute! Love this project and the colorful buttons are so fun! You did a great job. Thanks for sharing it with Share Your Cup. p.s. could not see where to follow you. Thank you. As for following – on the left hand side under my a little bit me visit my etsy shop, but above Pinterest there is a place to follow me – Enter your email address to follow this blog and receive notifications of new posts by email. 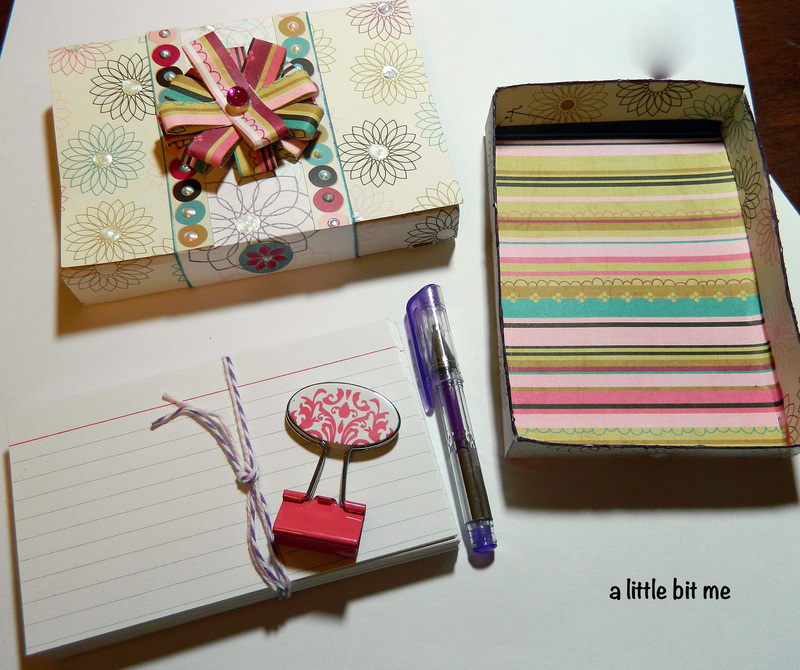 What a gorgeous way to store your index cards and accessories. It will almost make you want to study!! Gorgeous box, so very pretty. How very cute! I love how detailed you were in your post, thank you! I too love CTMH. Thanks for playing with us on the FCCB! Thank you so much!! I was just introduced to CTMH and now I’m addicted!! Love your project, Thanks for sharing…..
What a great project, the colors are perfect, Thanks for sharing….. Thanks Penny! I appreciate it! Pretty box! Love the flower! Thanks for the tutorial! Thank you for sharing with us at BBTB2! Really cute. It would be a nice little gift for my bunco nights! Stopping by from For the Kids. Hope to see you at True Aim! Thank you so much!! That would be a great gift!!! Awesome project! I totally understand where you’re coming from with the typing rather than handwriting things. Between the FMS and my carpal tunnel, I can barely pick up a pencil anymore. Thanks so much for playing along with us at BBTB2. Thank you so much!! That’s super terrible to hear having FMS and carpal tunnel. My hands and fingers hurt as it is but having that double whammy – I’m sorry to hear! Fabulous box!!! What a pretty place to hold almost anything!!! 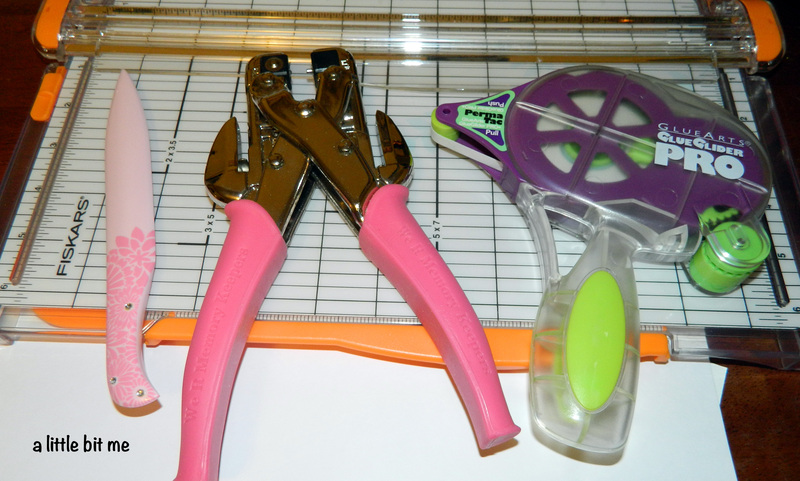 Your project would be perfect to share at TUTORIALS TIPS AND TIDBITS, my new weekly linky party going on now! Come on over and join in! Such a beautiful box. I love the ribbon flower. Thanks for a great tutorial and for joining us at FCCB. Thank you so much! I followed the blog hop and ya’ll are all so talented!!! Amazing projects!! Very nice would even make a beautiful gift. Love the colors. Thanks for joining us for the challenge over at the FCCB. Thank you so much!! It was a lot of fun to create as well! Thank you so much!! I can’t wait to see next week’s FCCB crawl!